Ok, Ok, I know I kind of left you hanging the whole month of July didn’t I? I didn’t give you any warning that my weekly meal plans were going bye bye, but they did. Those weekly plans weren’t really fitting our busy lifestyle anymore, and I’ll be honest that I was hard pressed to come up with something fun to tell you each week. Really, I may be perpetually busy but my life is in no way interesting enough that people want to hear about it on a weekly basis. Alright, now that we have that mess cleared up–let’s move on, shall we? 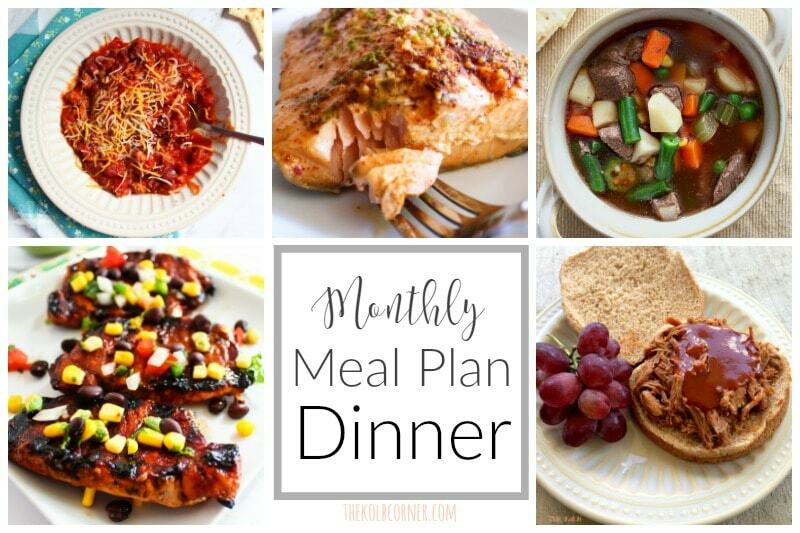 I am lovin’ planning our dinners out a month at a time. I think towards the end of my weekly meal plans I may have hinted to that effect a time or two. But seriously! I sit down ONE evening, plan out ALL of our meals for the ENTIRE month, and make a grocery list for 2 weeks worth of food. Sorry to shout at you but come on ya’ll–ONE night ALL meals ENTIRE month. That’s worth yelling about!! Can I just tell you though, that I love not going to the store every week. It’s so nice to wake up on a Sunday morning and not have to worry about getting to the store before the entire city of San Antonio wakes and decides to go the same store as me. Instead I can make breakfast for me and hubby, take the dog for a nice long stroll through the park, and get my cleaning chores done. This month will be a little different because for one full week we will be on vacation! Well, it’s not really a relax and enjoy ourselves sort of vacation but we are calling it vacation none the less. Maybe when we get back I’ll be able to tell you a little bit more, but for now you’ll just have to stay in suspense. Want to know my secret weapon to meal planning? It’s my FREE Printable Meal Planning Binder! Snag a copy for yourself and transform the way to you plan out your weeks and even months!